2018 marks the 20th anniversary of LACUNA COIL's debut. To celebrate this special year, they played an exceptional show on January 19 in London at the O2 Forum Kentish Town. The unique, one-time event was filmed and recorded for "The 119 Show - Live In London", which is being released today (Friday, November 9). A performance clip of the song "Nothing Stands In Our Way", taken from "The 119 Show - Live In London", can be seen below. The band comments: "What took place at the O2 Forum Kentish Town in London on the 19th of January 2018 was pure magic. It was definitely a once-in-a-lifetime experience for us as a band and as people. The work involved, the pre-performance tension, the intensity on stage, the energy between us and the audience — all of this was beyond anything we've ever done before. This event was not just a show, it was a birthday party, an anniversary celebration and most importantly a huge THANK YOU to everyone who travelled side by side with us for the last twenty years. And now, with the release of 'The 119 Show - Live In London', we can also share the magic with those fans who weren't able to party with us in January." Scabbia explained to Tattoo.com that "there is a reason" January 19 was chosen as the date for the anniversary show. 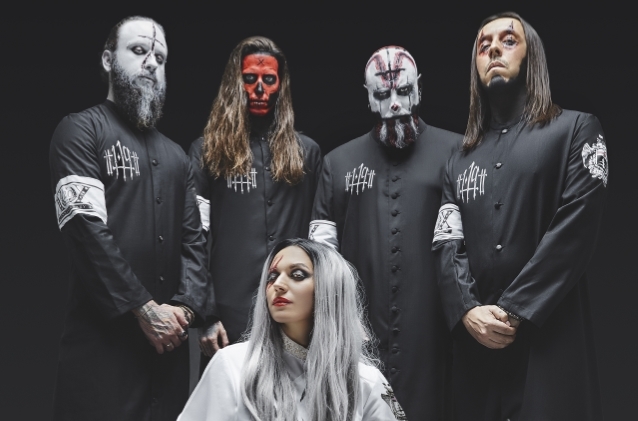 "It's because 1/19 is recognized as 'Lacuna Coil Day,' because we have a song that's called '1.19', so the people from the fan club and the fans decided to declare it 'Lacuna Coil Day,'" she said. "And we thought about making a special show in London, because, logistically, we thought it was the easiest way to reach, even for people who are not coming from Europe, our area. Usually the flights are cheaper. Like, if you come from the States, it's easier to reach London than Milano, for instance, [which] is our hometown. So we thought about London."